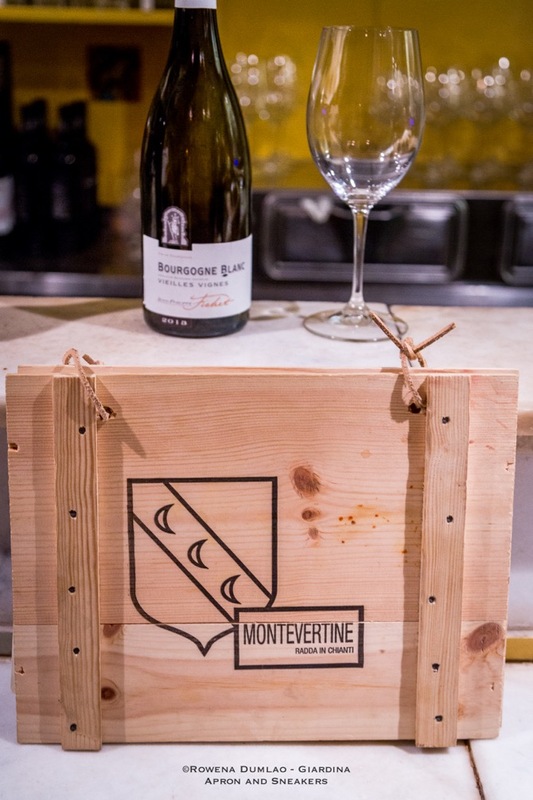 Forty kilometers north of Perugia and half the distance from the town of Umbertide, lies a beautiful small fortified medieval village called Montone. 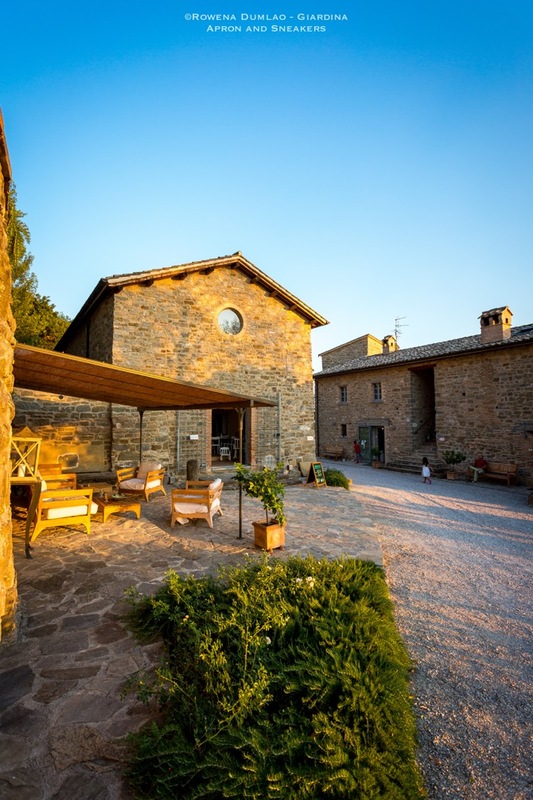 The quiet walled town is surrounded by oak and olive trees and a touch of Umbrian greenery. Stepping inside the walls is like a walk in the past as you maneuver your way through the narrow cobblestone roads in between the buildings of another era. The medieval atmosphere is an extraordinary feeling that this little town gives to every visitor who walks in. If there is only one fruit flavor that I can choose, I would say lemon without batting an eye. It's a simple classic flavor that always pleases my taste buds, refreshes my mouth and reminds me wholly how summery it is. True, lemons are considered as summer fruit but actually they grow all-year-round. If not for the big old lemon tree that was outside my bedroom window years ago, I would have thought that lemons only fruit in the warm months. 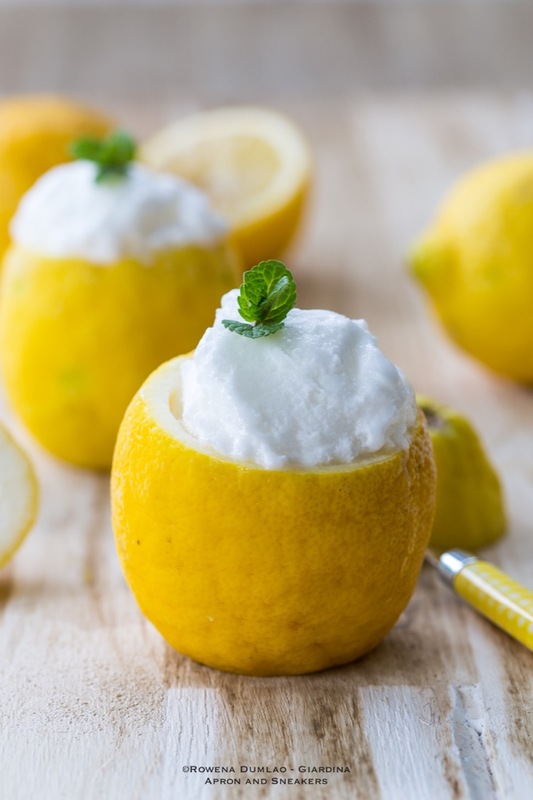 So consider this recipe perfect for any season and the ideal time to make it is when you get the craving for a good cup of lemon sorbet. And the best news is, you can also make it without an ice cream maker. 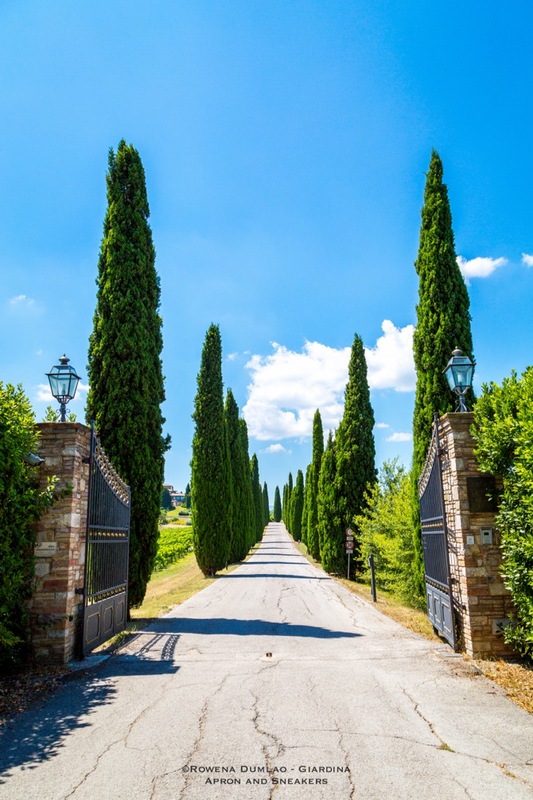 After a lingering goodbye and a final long look at the spectacular view of the Umbrian hills and our hotel, I entered the car reluctantly with my kids and husband. It had been one of the best stays we had. My youngest daughter spoke out loud what was going on in our minds, Siamo stati così bene in questo albergo! (We stayed so well in this hotel!). It's so true and I would like to share with you this little gem in a quiet corner in the hills of Umbria. A trip to Cantina Todini cannot stop at the wine tasting in the winery because a few hundred meters from it is one of the most beautifully located restaurants in Todi. 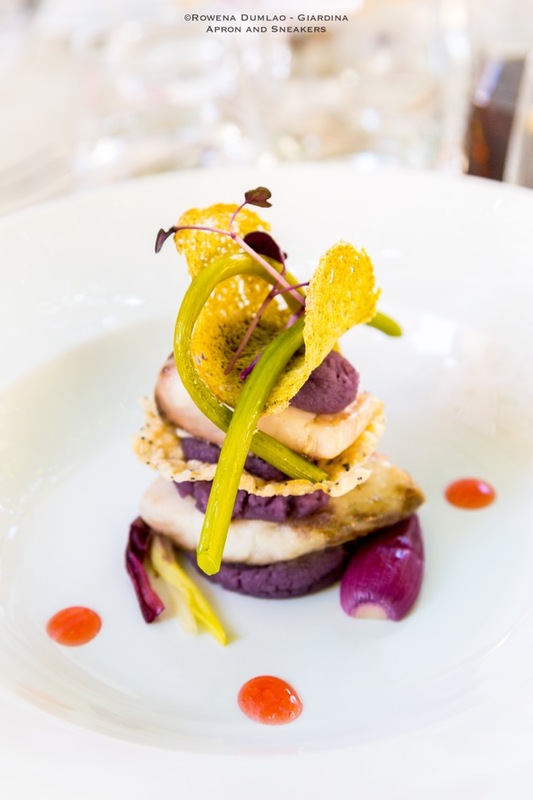 Up on the hills of Collevalenza in a 13th century manor house lies Relais Todini, a five-star hotel and inside it is L'Altro Relais Ristorante, a restaurant overlooking a magnificent view of the vineyards of Todini and the hotel's swimming pool. The restaurant is being run by Chef John Paterson, a Scottish chef who transferred to Umbria many years ago and planted his roots there. Isn't it about time you stop making trips to the neighborhood Asian restaurant for takeout and make your own Asian dinner at home? 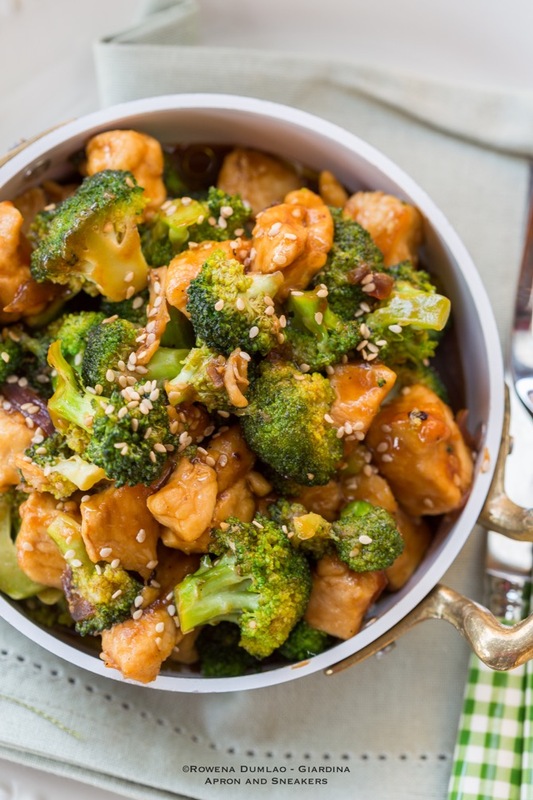 In less than half an hour, I can assure you, you will have a Chicken and Broccoli Stir-Fry like this on your table ready for dinner. And that includes the rice too! It's packed with protein from the lean chicken and different kinds of nutrients especially vitamins C and K from the broccoli florets. And when you eat it with rice (like most Asian dishes anyway), you add a good amount of carbs in your diet too. And the most important thing? You can say that you cooked it yourself with the ingredients you chose. Now is the best time to take control of what ends up on your table with really simple food that's good for your health. My refusal to cook dishes that require long processes of cooking in summer is met my questioning looks by my small daughter. When I tell her that it's too hot to stay in front of the stove and oven, comprehension registers in her face because she feels the heat herself but the child in her wants to complain anyway. With grilled corn on the cob as one of her favorite food (which she loves getting at the beach), we arrive at a compromise. She can have the corn on the cob at home if she will eat it boiled instead of grilled, then I can face the heat of the stove for her. Fortunately, she likes it boiled too. No wall separates Spain and Italy at Marzapane Ristorante that's for sure. Instead, the synergy of both cuisines creates something more enthralling in the hands of their young and talented Spanish chef. Bagging the title of Gambero Rosso's Emerging Chef of 2014, Chef Alba Esteve Ruiz shines her way around the kitchen sprinkling distinctive flavors from her native country to her Italian dishes. She comes up with the most interesting flavors that captivates your taste buds. Spanish and Italian are two of the best cuisines in the world without a doubt, and to be able to utilize them both well in harmonious proportions means Chef Alba really excels in the kitchen where she continues to compel us with her dishes in her own fascinating world at Marzapane Ristorante. After coming from the fishmonger and I have four medium (one for each of us) orate or gilt-head sea bream stashed in my thermal bag, this is the first dish that I can think of preparing. I make two versions of this fish dish, both easy and using the same ingredients. One is cooked on the stove in a saucepan while this one is oven-roasted. 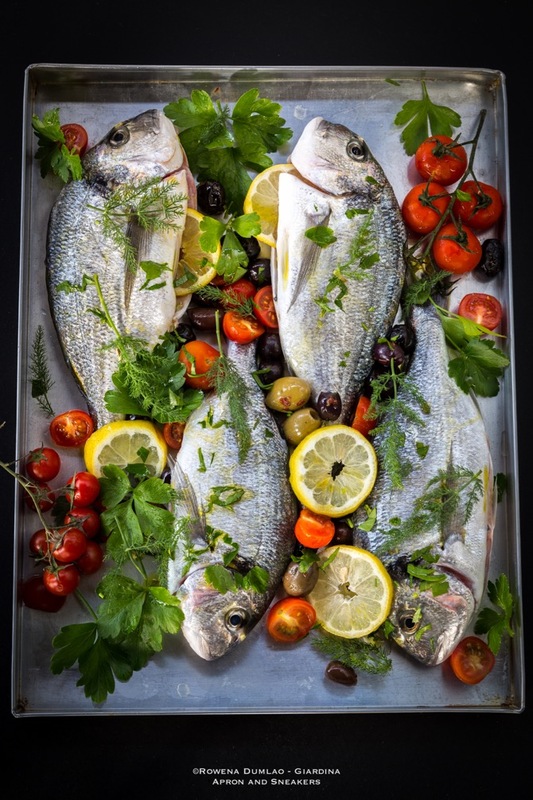 You can change the kind of fish freely but small to medium whole white fish is the best option over filleted ones for more flavor. If you like small ancient towns by the lake like Malcesine, then let me just tell you that you are not alone because apart from the throngs of tourists I walked along the streets with, there are also hundreds of foreign couples who programmed their weddings in the same place this summer. In fact, just for a few hours that I was there, two weddings were taking place one after the other. Indeed, Malcesine is one of the most enchanting towns in Lake Garda (Lago di Garda in Italian). While the summer heat pervades the whole house, the kitchen doesn't look as inviting as it was when the weather was a bit cooler. August is usually the month when I would leave my oven to rest until September again. 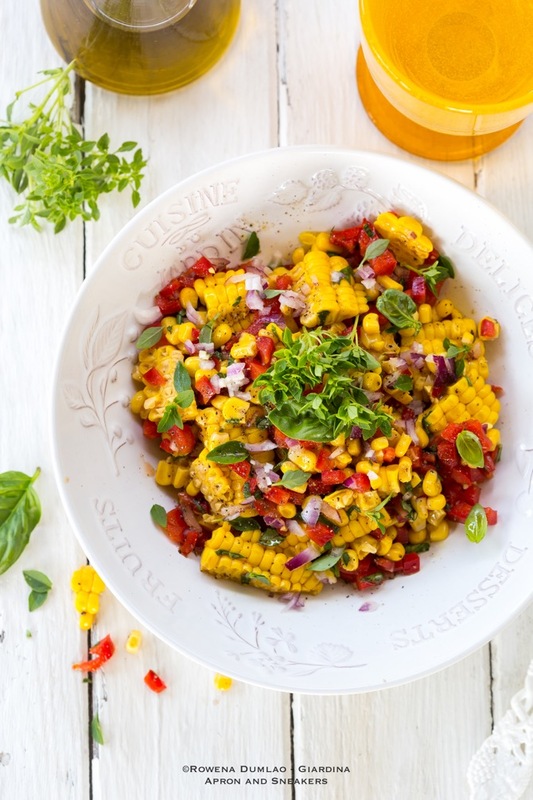 Salads take a major part of our summer diet with lots of water or ice cold drinks. 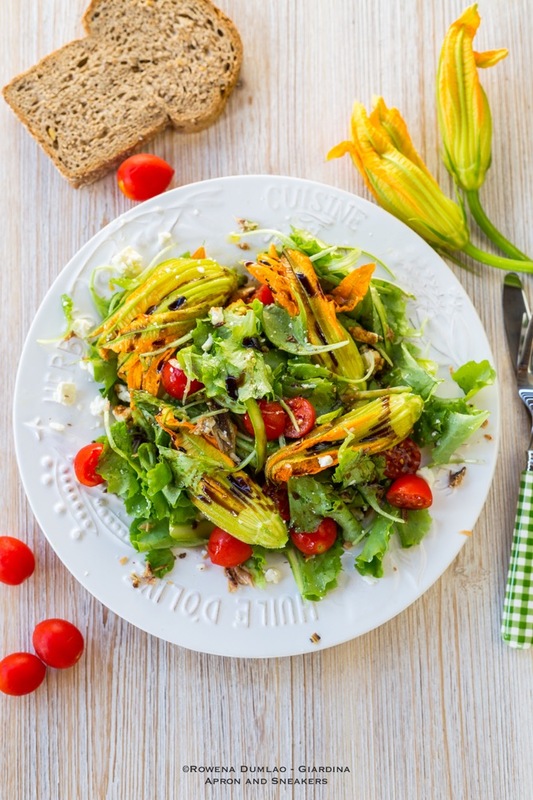 Fresh light plates with seasonal vegetables are easier to digest and much better this hot season. And I guess like you, we are all in constant search for a delicious salad mixture to keep the flavors diverse for the whole hot season. 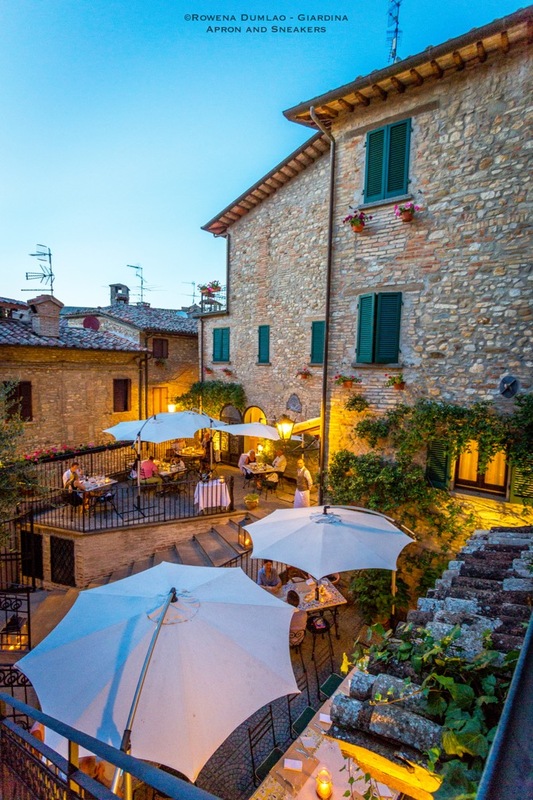 In every visit to Italy, there is always the desire to taste the food and the wine between sightseeing but with limited time, any traveler would just have to give up a few of the things in his bucket list. That usually means, you go back home with a void in your gastronomic experience of this incredible country. It takes a lot of time to discover Italy from top to bottom because every region, even towns just kilometers apart have something uniquely theirs that has to be appreciated. 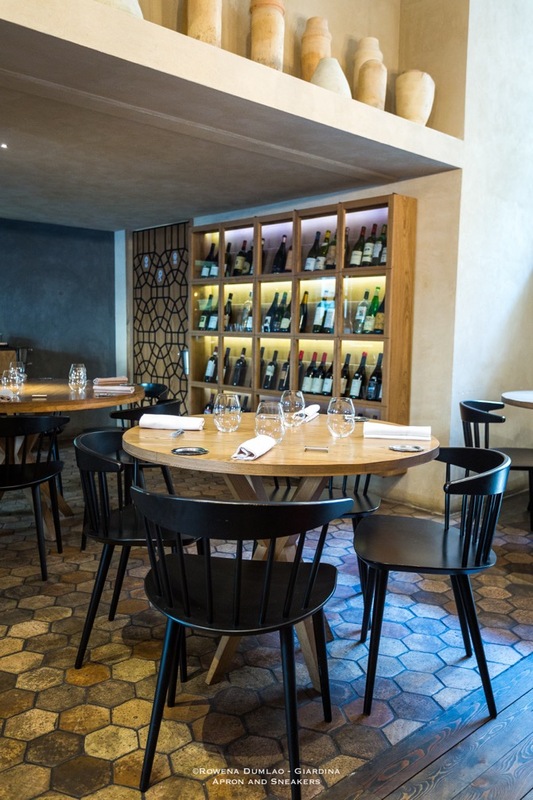 If you cannot physically hop from place to place then Bolla su Bolla has the perfect solution for you because the best of Italy are housed in one place.